I purchased a RØDE Stereo VideoMic last year and I would like to say how very very pleased I am with it! I use it with a Canon MD 101 MiniDV camcorder which has an external mic socket, this was one of the reasons that I purchased this camcorder. I have used the camcorder/mic combination to video live music from amplified bands and the results have been great! I would like to thank RØDE for the "RØDE Stereo VideoMic" it is a very wonderful product and I am a very, very happy customer! This VideoMic is a great accessory to my Canon 7D. the quality of sounds is very good. I recommend not turning any of the two sound filters that come with the mic. Build quality is great and it attaches perfectly to the camera without breaking its balance. I use it mainly for office training and testimonial videos. I bought this mic to use on my Canon EOS 7D for video recording. Being used to broadcast gear, I realized how beneficial a good stereo mic is when compared to a mono shotgun when it comes to disipating wind noise. 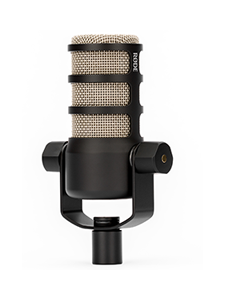 This mic will not disappoint and has excellent noise rejection and a great capture field. 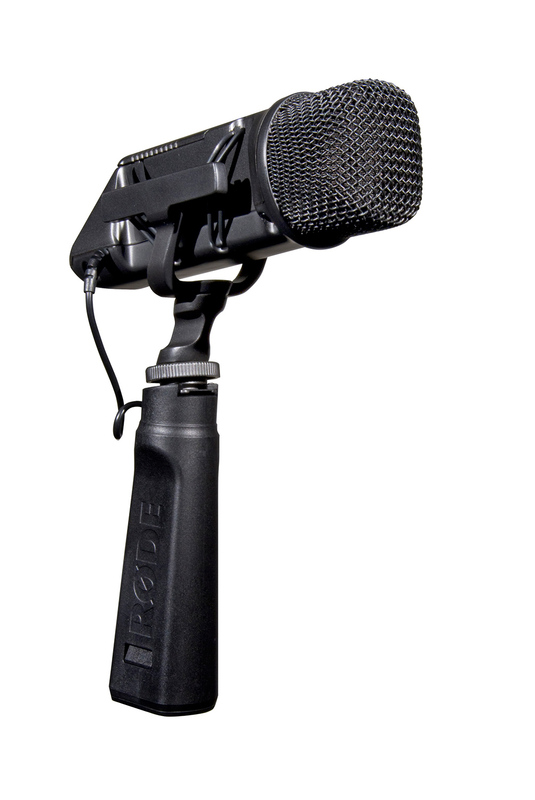 It's a well built mic that is easily worth the upcharge over a shotgun mic, even if you don't need to record stereo. I really love this mic. The sound quality is very clear and crisp with a smooth bass tone. 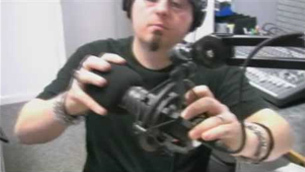 It's hard to find a STEREO mic for your camcorder, theres really not to many out there. The stereo quality is very good and has a nice depth to it. I use it with the Panasonic HMC-40 for filming bands and it's almost got a live studio quality sound to it. Very high quality sound capture and great stereo L+R phasing. The build quality is superior as well. Love the small toggle switches for power (and the LED) and high pass filter, etc. Positioned to be easily seen and accessed. Even the 9v battery compartment is well designed. No wires and a pad to attach to the battery ... there are fixed contacts in the compartment. Well thought out. Using with my new Canon 7D body for video recordings. Superior to the mono built-in mic on the 7D. Canon SLR cameras with HD video rectroding capacity have a good to grreat quality HD videos but audio recording is terible. Adding the above microphone adds a new life to the quality of HD video. 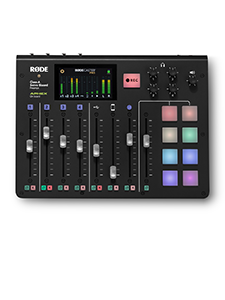 Other option for big event is to add direct in line sound from the mixer. I strongly recommend to add this microphone if you want to enjoy the HD videos from SLR cameras with a good sound quality. This mic is fantastic and gives great audio for any video I take with my Canon Mark IV. It is light, the battery seems to last forever and is great on windy days. I bought this mic not once, but twice. I bought it for use on my Canon 5D Mark II, and the sound quality on it is amazing! The built-in shock mount completely isolates noise from focusing or zooming the lens as well as other noise from hand-holding the camera body. I lost the first mic during a move -- it's in one of my boxes of stuff somewhere, I'm sure. But, I needed it, so I just bought another one. No regrets. 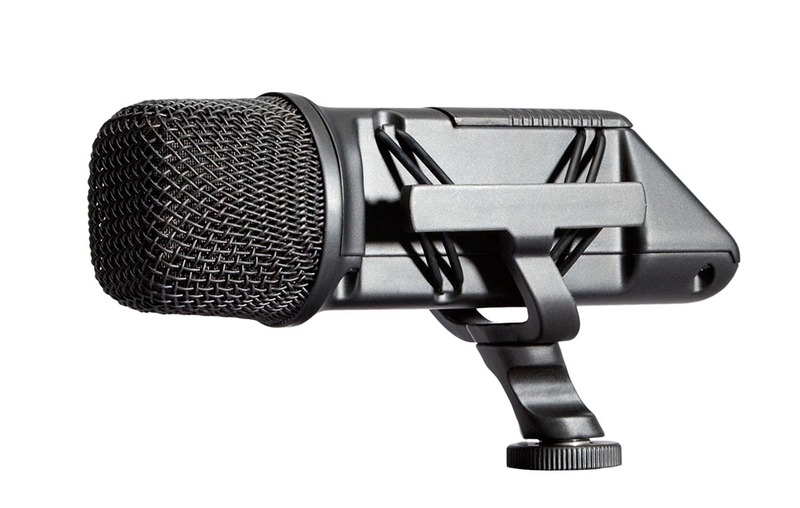 The price is completely reasonable for the high quality audio you get from this mic. And the included "dead kitty" wind screen works like a champ too. Buy it. You won't regret it. One note... this is NOT a shotgun mic. So, if you are looking to isolate sound from the front only, this is not the mic you want. This one produces excellent wide-pickup stereo audio. If you're trying to use this as a shotgun mic for interviews outside or for interviews inside then you will be disappointed because you will hear the A/C turning on, the hum of the television, and just every other noise alongside your voice. Your voice will not be isolated. This mic is not meant to isolate noise, it's meant to take in all noise. That out of the way, it performs Great if you're using it for Live Bands, big events, choir concerts, etc. It allows you to relive the entire "Live Show" experience to the fullest with Full Sound and just very clear audio. Just be sure to keep it pointed at the source though because it is a very directional mic. If you move it around then you'll hear the sounds shifting to your left and right ears and, as with any other mic, whatever is in front of it is loudest. It's great for vacations if you want something that is better than the built in mic on your camera. This is one that you can trust not to get distorted if any unexpected noises come into play. All-in-all it's a great buy and if there're enough sounds going on in the recording (as in a live band setting) then you'll hear no distortion, hissing, or buzzing. But when there's very little going on and you're just recording ambiance in an empty room then yes, there is some hissing and noise. The only other accessory I bought was an extension for it along with a boom pole. 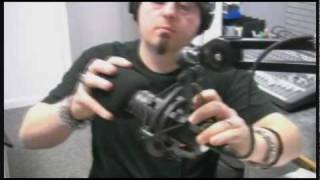 I use this mounted on top of my Canon Vixia HV30 and with the boom pole. Works great. 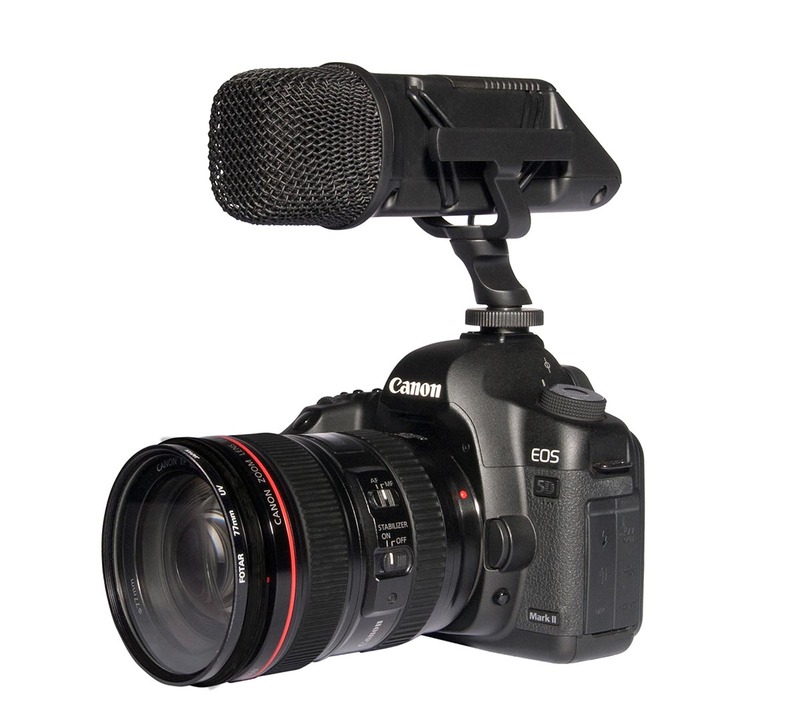 I use this microphone with my Canon 5D mk2 DSLR camera for video. Wow, what an improvement over the built in mic. With the built-in mic, I used to hear all the camera noise, every time I touched the camera the mic would super magnify any noise I made. Not any more. 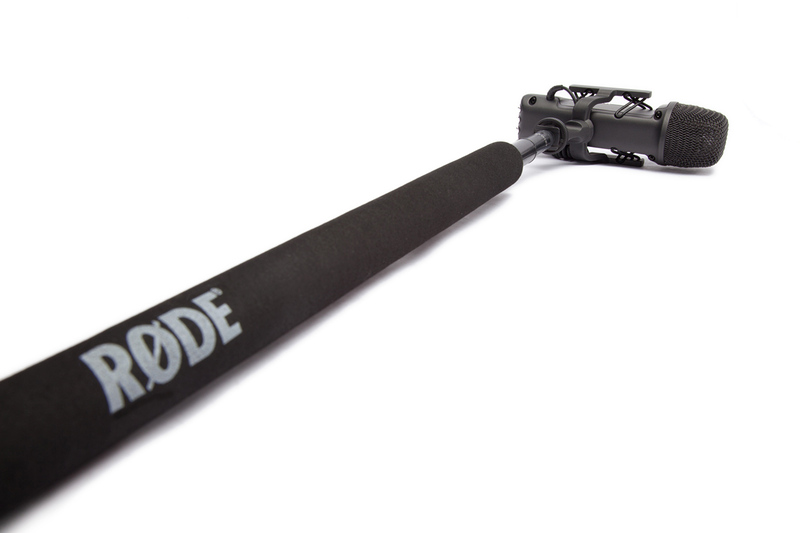 The RØDE microphone is suspended in it's holder by rubberbands so that it is very isolated from the camera. 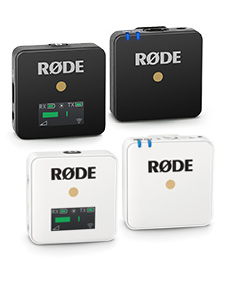 I use the Rode mic for video recording of School music performances in auditoriums and it is very nice. Very high audo quality. As has been noted in other reviews: Don't forget to turn the mic on! Turn off Image Stabilized lenses (you can hear the gyros) not as loud as with built in mic, but the RØDE still picks up a little noise if you leave gyro on. On the 5D mk2, consider the on-board mic for emergency use only. I suspect any add-on mic would be an improvement, especially in reducing unwanted camera function noise. This one also records very good audio. I bought this for use with my Canon 5dmk2. I needed something external to prevent camera sounds that plague the built in microphone. The Stereo VideoMic is shock and vibration isolated and does the trick. Stereo separation is good, and overall sound quality is good. I've used this on a boom pole and it performs well in that capacity, as well.